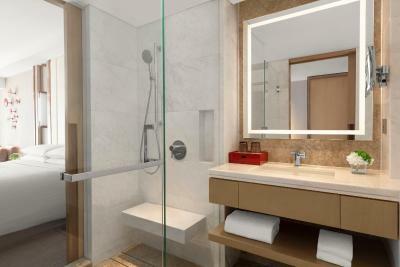 Good location close to metro line 10 and Hongmei Lu. Good sized room but couldn’t get it to warm up all weekend, bathroom was v cold. Staff still friendly and helpful. We arrived in the early hours of the morning and we were late for breakfast but the staff were so helpful and arranged breakfast for us! Location is good. Transportation is very convenience. Staff are well trained and attendant. 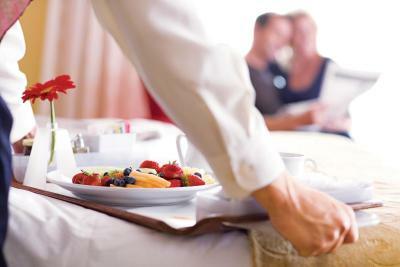 Services are excellent, Breakfast is comprehensive. 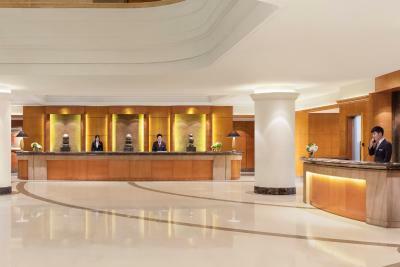 Check-in and check-out procedures are silky smooth. Nice hotel with good services is not normally cheap. You paid what it's worth. Anyway, it met my expectation. Anyhow, I shall choose this hotel again. Quality & commitment of staff has deteriorated significantly. I have been here many times. There is no feeling of welcome no evidence of quality training of staff. One evening the usual buffet was simply not there without any warning or notice. At breakfast the main concern of staff is to first slap the bill on the table. Most importantly, the hotel is going through some form of refurbishment. The noise starting at 0800 and ending supposedly at 1800 was intolerable.My room seemed in the midst of this. I couldn't work. My complaint that the hotel should forego the revenue and close all or part of the construction was met with a shrug. Bad for this property but devastating for the Marriott franchise. Hotelzimmer war geräumig und sauber. Personal freundlich und hilfsbereit. 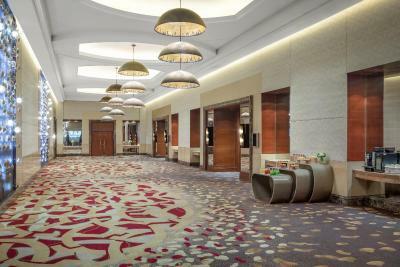 Shanghai Marriott Hotel Hongqiao is a 5-minute walk from Longxi Road Metro Station (line 10). 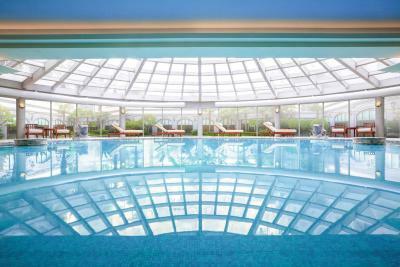 Luxurious and modern, it features an heated indoor pool, spa services and a 24-hour gym. 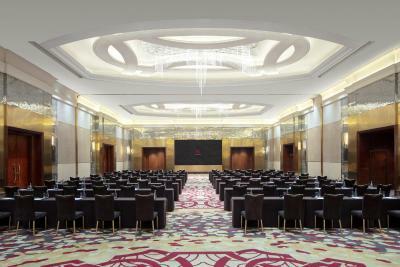 Marriott Shanghai Hongqiao enjoys easy access from People’s Square and the famous Bund. 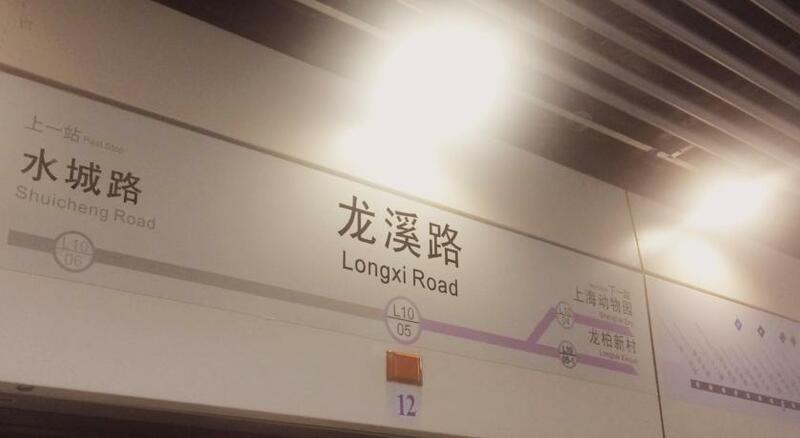 Hongqiao International Airport and Railway Station are a convenient 15 minutes’ drive away. 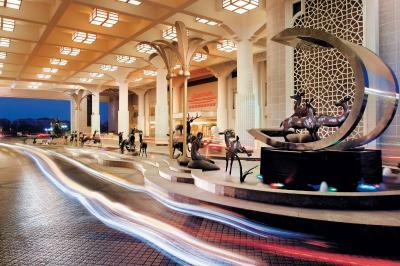 National Exhibition and Convention Center is 25 minutes' drive away. It is 25 minutes' drive to Xintiandi, 20 minutes' drive to People's Square and 25 minutes' to The Bund. Shanghai Zoo is only 10 minutes' drive away. 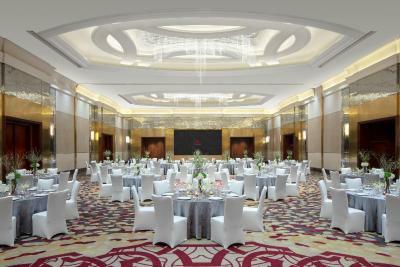 Elegant rooms at Shanghai Marriott are tastefully furnished with a 32-inch cable/satellite flat-screen TV and mini-bar. 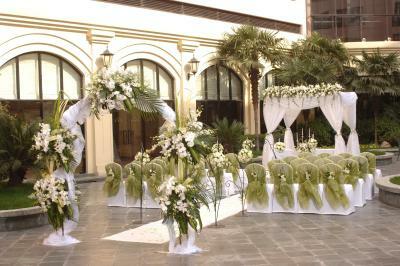 Overlooking the beautiful courtyard, each is equipped with tea/coffee making facilities and a fridge. 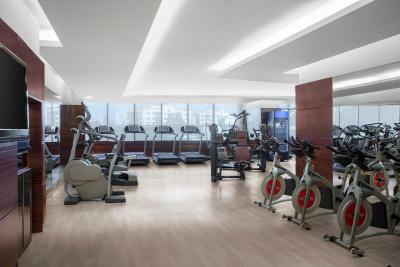 The Marriott Health Club features relaxing hot tub facilities, a tennis court and indoor heated swimming pool. 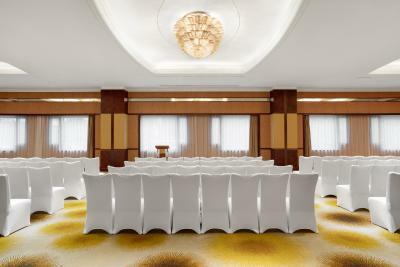 The hotel also provides laundry services and 24-hour room service. 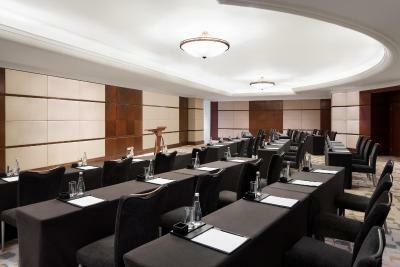 For convenience, a business center and car rentals are available. 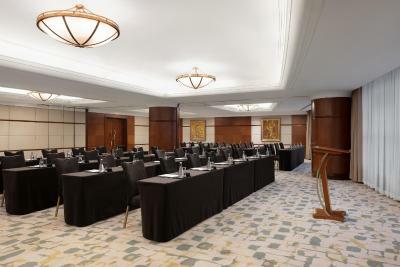 The hotel features over 1,900 square yards of dedicated event space. Dinning outlets as Manhattan Steakhouse offers classic upscale dining amid nostalgic, elegant surroundings. 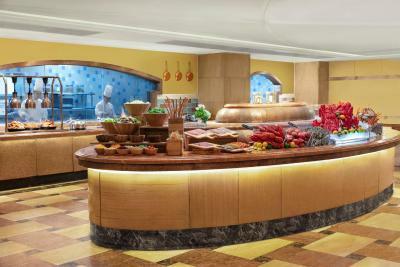 International favorites are available at Marriott Café. 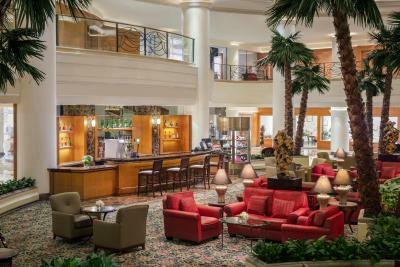 Lobby Lounge offers refreshing drinks, tasty pastries and a selection of coffee and tea specialties. Changning is a great choice for travelers interested in culturally diverse food, nightlife and atmosphere. 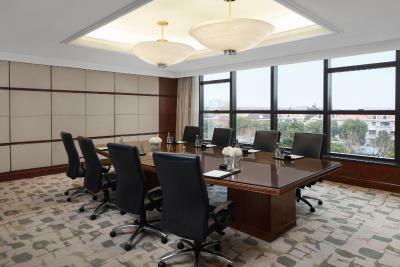 When would you like to stay at Shanghai Marriott Hotel Hongqiao? 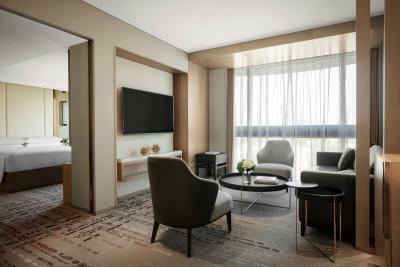 Elegant and modern, air-conditioned rooms come with a 49-inch LCD TV and furnished with cozy and fluffy Marriott bedding, high-speed WiFi access and music player. Features sitting area and Executive Lounge benefits, including free breakfast, refreshments, cocktails and business services. 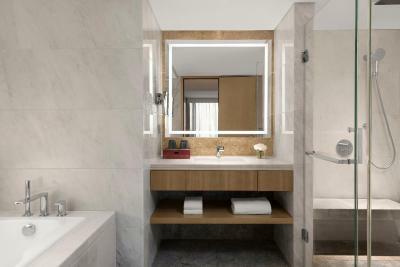 Suite features a separate living area and Executive Lounge benefits, includes free breakfast, refreshments, cocktails and business services. This double room has a balcony, tile/marble floor and electric kettle. House Rules Shanghai Marriott Hotel Hongqiao takes special requests – add in the next step! Any additional older children or adults are charged CNY 158 per night for extra beds. 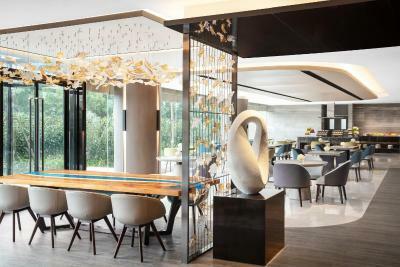 Shanghai Marriott Hotel Hongqiao accepts these cards and reserves the right to temporarily hold an amount prior to arrival. The property will be going through renovation works from 2017-12-27 until further notice. During this period, guests may experience some noise or light disturbances, and some hotel facilities and services may not be available. Aircon in one room didn’t work. Had to change room. 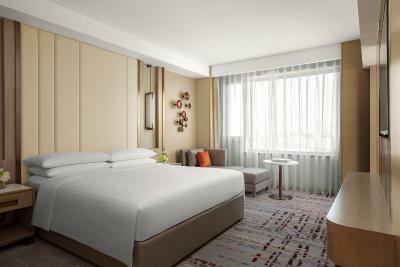 Newly renovated rooms are excellent. Mosquitos everywhere: lobby, room café, in outside. 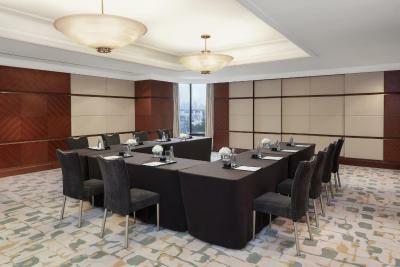 I was not able to have a business meeting becuae of that. High rate hotel but do not mind for your comfort. No shower in the room, just an old bath at 170 euro per night. The main bar area was completely closed but there was no pre-warning of this when i booked. The hotel is getting a bit dated and needs an upgrade. 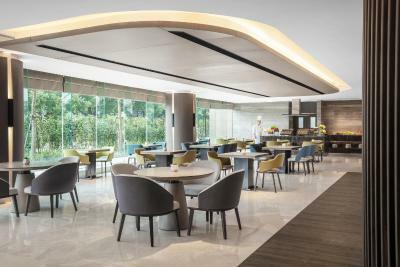 too expensive in hotel restaurants , bad quality of food in business lounge , masage is extremely expensive than everywhere. good staff , good location to the airport.